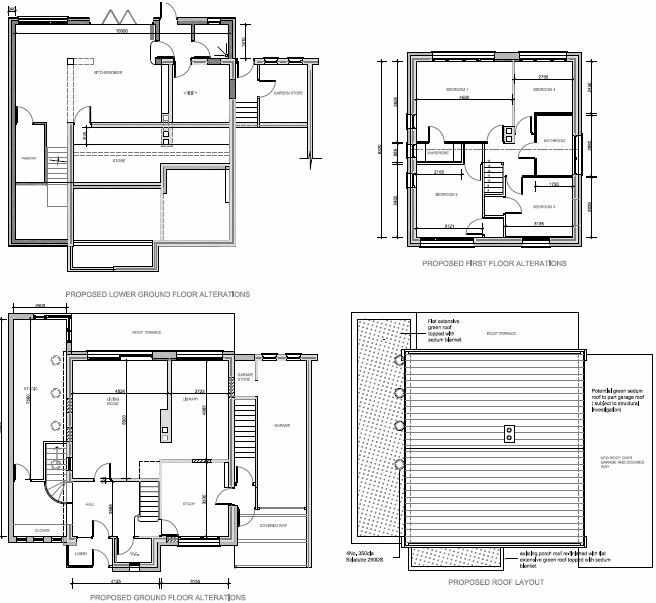 We are creating an extension built to a very energy efficient specification. At the same time undertaking an ‘extreme thermal renovation’ of the existing house, otherwise there is little point in investing in the energy efficiency measures for the extension alone. 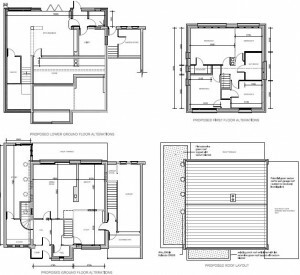 The renovation will present many more technical and practical challenges than the new extension, mostly due to thermal bridges that exist (and which can be designed out for the extension). The aim is to eliminate as many of these bridges as possible within sensible, practicable and economic limits. Click the image to see our proposed plans. We are not aiming for the Passivhaus’ EnerPHit standard for retrofit: we deliberately haven’t done holistic energy modelling using PHPP. Numerical modelling so far has been limited to Ψ-Values for thermal bridges. The reason for not undertaking PHPP is to avoid being shackled by design decisions that are driven to achieve certification (I expect my contemporaries in the the Passivhaus movement will have a view on this approach! ).